Wind is expected to supply 1/10th of the world's power by 2020, saving nearly 1.7 billion tons of CO2 emissions. 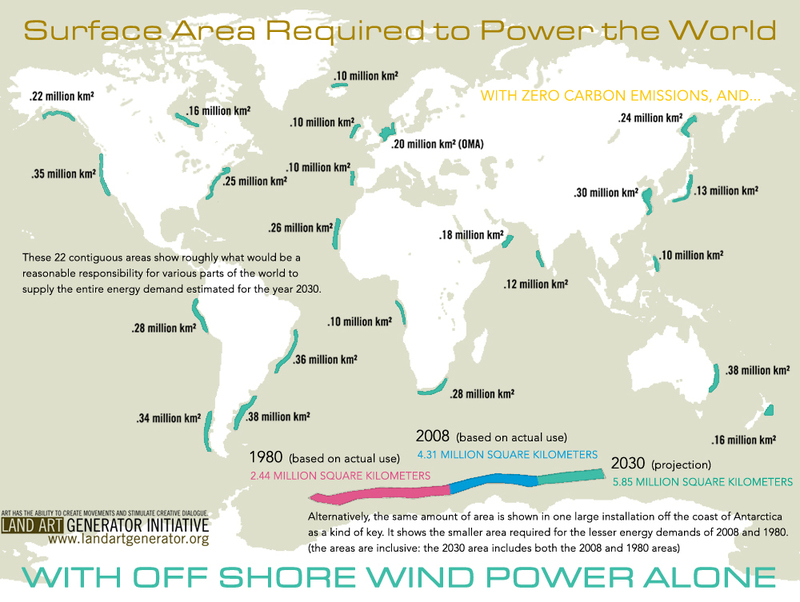 By 2030, wind power could provide a fifth of global electricity. Learn more. Wind power, which is the conversion of wind energy into electricity through the use of wind turbines, is a viable alternative to fossil fuels that is pollution-free, affordable, efficient, plentiful, renewable, clean, widely distributed, produces no greenhouse emissions during operation, uses little land, is an inexhaustible source of electricity and can be harvested nearly everywhere, whether in valleys, on mountains, in your backyard or in the sea. Wind power is one of the most cost-effective sources of electricity available, capable of generating power at prices competitive with new natural gas plants and cheaper than new coal and nuclear plants, and is already cheaper than coal and natural gas in Australia - with solar is right behind. However, if you take into account the very real health and environmental damage from fossil fuels, wind and solar power is the least expensive energy sources worldwide. Drawbacks to wind turbines is that their construction and operation can create an undesirable landscape with their strikingly large visual appearances and pose a danger to birds and bats in the area with their turning rotors. However, the benefits of wind energy far outweigh the plethora of environmental, social, economic and public health costs associated with the use of fossil fuels, such as coal, oil and natural gas, and there are major innovations and advances being made within the wind industry to counteract these drawbacks and further advance and even double the efficiency of harnessing the wind. 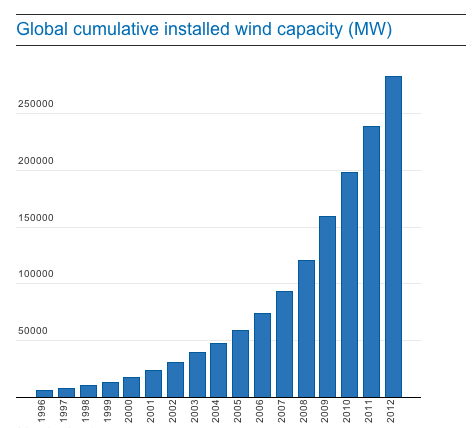 The wind industry has been growing rapidly in recent years with an increase of 20% global wind capacity in 2012, largely driven by China and the US, and with new designs transforming offshore wind (see also). According to the Natural Resources Defense Council, in 2010 alone, 2,900 turbines went up across the United States, and today, American wind generates enough electricity to power more than 10 million homes, creates steady income for investors and landowners, and helps support over 100,000 manufacturing and ongoing operations and maintenance jobs. Learn more. Wind energy is free, inexhaustible and immune from fuel cost inflation. Wind turbines waste much less energy than fossil fuels. Sources of electricity, such as natural gas, coal, nuclear and oil, lose massive amounts of energy as waste heat, compared to an almost 0% loss for renewables. 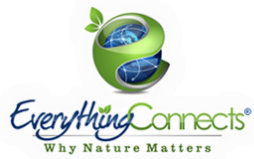 54% of energy from natural gas is lost as heat. 66% of energy from coal is lost as heat. 65% of energy from nuclear is lost as heat. 77% of energy from oil is lost as heat. 1% of energy from renewables, such as wind energy, is lost as heat. Under this measure, renewable energy is virtually 100% efficient. Learn more. Wind energy is cost-competitive with coal-powered energy rounding out at 4 cents per kilowatt hour. The National Renewable Energy Laboratory projects that the price of wind energy will fall even further over the next decade, making it the most economically competitive renewable energy technology. Learn more. Wind energy emits zero greenhouse gas emissions, which contribute to global warming and climate change. Wind farms can be built in a fraction of the time it takes to construct a coal or natural-gas power plant. A 50-megawatt wind farm can be completed in less than a year. Learn more. Wind energy will cut dependence on imported fossil fuels and increase energy security. Land leases for wind turbine systems help support farmers and ranchers by generating annual income. On a 250-acre farm, wind leases can generate about $14,000 of annual income with only about three acres taken out of production. Learn more. Wind energy can stabilize and even reduce energy prices. Wind power consumes no water during operation. As fresh water becomes more and more scarce, the consumption of water from industries is an increasingly important aspect of sustainability. Wind energy conserves natural resources for future generations.